Roberta Jonay had one of the most unusual entries into the world of fame – her boyfriend was a bodyguard for President Roosevelt, Eleanor Roosevelt took a liking towards her, arranged some “meetings” and whauzaa, there she went to the stars! Unfortunately, despite her obvious dancing talents, Roberta never made it as an actress. She signed with Paramount, made two dozen movies, but never jumped out of the uncredited tier. Roberta Jones was born in Philadelphia, Pennsylvania, on October 15, 1921. I could not find any information about her parents. Roberta grew up in St. Petersburg, Florida, and considered it her home town. 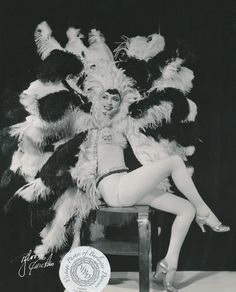 What we do know is that Roberta’s mom was a typical stage mom (allegedly her parents were showbiz people themselves) that pushed her daughter into vaudeville as early as mid 1930s. The mother-daughter duo went to New York to seek new opportunities. She studied at the Neighbourhood Playhouse and did some stage work on the side. Roberta catapulted to fame in 1937, when she met Earl Miller (more about that in the Private life section). She was soloist and mistress-of ceremonies at Earl Carroll theater and danced all over the States in various shows and revenues. 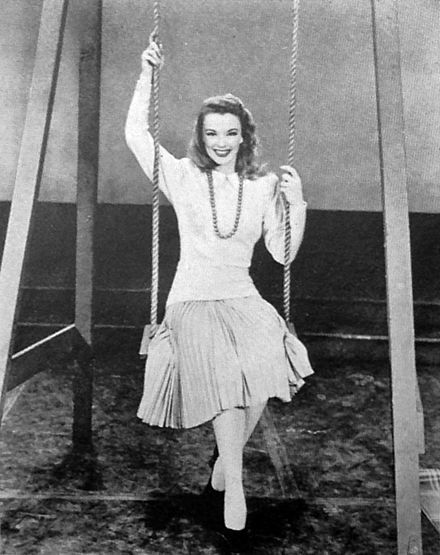 Her appearances in the Broadway productions of “Allegro” and “As You Like It” in the 1940s led to a contract with Paramount and thus her movie career started. 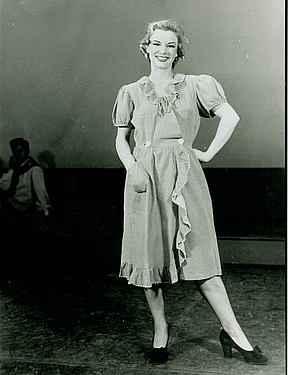 As a dancer, Roberta naturally started her career as a chorus girl – she was a string of mostly mid tier musicals – Riding High, a Dorothy Lamour vehicle, Star Bright (a forgotten short), Here Come the Waves (this movie sure had a lot of starlets in it), Duffy’s Tavern (ditto), Masquerade in Mexico, The Stork Club (with Betty Hutton, our favorite little dynamo!). 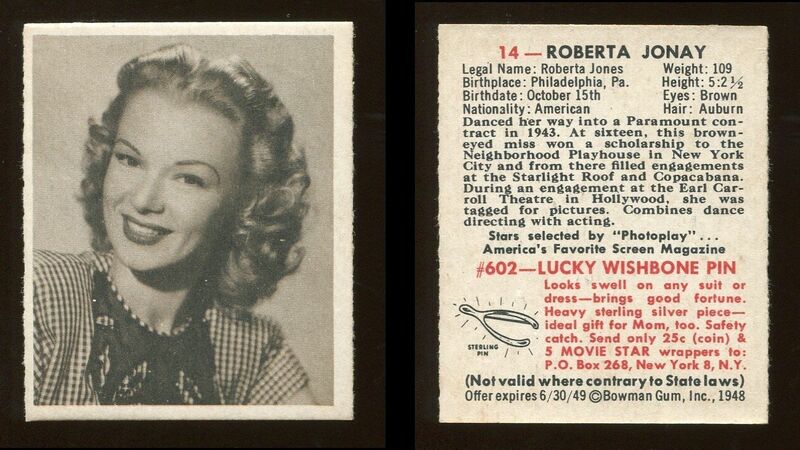 After this set of happy-go-lucky movies, Roberta was then featured in something more “mature”. She first had a small role in Miss Susie Slagle’s, a tear-jerker made with enough flair and style to make it one of the best movies of the year. With Veronica Lake, Sonny Tufts and Joan Caulfield in the leads, what the cast lacked in talent they make up in beauty and elegance. Plus notables like Lillian Gish and lloyd Bridges give the true acting chops. Then, Roberta was in another of Veronica’s movies – The Blue Dahlia. What more is there to write about this movie? it’s a classic, nuff said. For some lighter fare, there was The Well-Groomed Bride, a lukewarm Ray Milland/Olivia de Haviland comedy, and for some heavier fare, there was O.S.S, a pretty realistic WW2 spy movie with Alan Ladd and Geraldine Firtzgerald. And no, spying does not look like James Bond movies – kudos to Hollywood for not trying to fluff it up too much. Roberta was back in musicals in Blue Skies, a mid tier Bing Crosby/Fred Astaire movie. it’s got good music and dancign numbers, but a vapid script and Joan, despite her great beauty, was no quality actress! Ladies’ Man was more of the same – thin plot, but loads of music and good comedy (with Cass Dailey and Eddie Bracken!). These musicals were followed by a so-so comedy, Suddenly It’s Spring –again it was a silly story but with good performances by Fred MacMurray and Paulette Goddard. Roberta then appeared in The Imperfect Lady, a Ray Milland/Teresa Wright movie with conciousness. It’s a out-of-the-box movie, nothing too deviant but it does touch upon some delicate issues about women’s positions in society and their reputation. Next up was Golden Earrings, one of Marlene Dietrich’s lesser known movies, but what a shame – it’s an interesting movie any way you look at it, part comedy, part romance and part serious drama. Strange mix for sure, but it works, and Ray Milland, the leading man, and Marlene have some good chemistry together. Afterwards came Variety Girl, the movie with just about everybody who was anybody on the Paramount lot. Roberta’s last musical was The Emperor Waltz, charming, fluffy but low-calorie, and with superb leads (Bing Crosby and Joan Fontaine). Roberta appeared in just one more movie – Whispering Smith, Alan Ladd’s first western, and a sort of predecessor to the better known Shane (Alan plays almost the same character). Ladd, despite being slight and short, played the quiet cowboy quite well, and he has very good support (Robert Preston, Donald Crisp, Murvyn Vye). The direction was bit on the pedestrian side, but Leslie Fenton, a former actor and husband of Ann Dvorak, does the job ably (but not spectacularly). Roberta appeared in some minor TV shows, and afterwards retired to start a family. Roberta was a very, very ticklish. In fact, she was so ticklish that it was a herculean task to refrain from giggling in the midst of soulful love songs with her leading men, when he was supposed to touch her. Funny. Really funny. One of Roberta’s earliest crushes was Marty McDonough, star Syracuse half back, but they were both hardly more than kids and the relationship was short and sweet. Roberta’s first TRUE beau was Earl Miller, a bodyguard for Franklin Delano Roosevelt and his wife, Eleanor,m when they lived in Albany. Earl was close to both of his patrons on a personal basis, and naturally introduced Roberta to the couple. Eleanor came to like Roberta immensely and develop a maternal relationship towards her. At a first glance, Roberta and Miller had everything they needed to be happy – both were young, healthy, with good jobs, and plus Earl could actually help catapult Roberta into a major career due to his connections in the White house. However, it was not meant to be. Roberta’s mother took an instant dislike towards Earl, and nothing he did was good enough for either Roberta or her. Even after he pulled strings and truly jump started Roberta’s acting career, Mrs. Jones did not consent to the relationship. It might have been fine if Roberta had a say in the matter – unfortunately, she did not. Her mother controlled every facet of her life, including her lovers. Under intense pressure, Roberta broke it off with Earl in 1939. He was shattered, and did the absolute worst thing he could – on a rebound, he married Simone Von Haven in June 1941. I have no idea what happened to Miller or indeed how did his marriage end up. Roberta marched on with her love life. In 1939, she was to be married to Martin Jurow, 26-year-old Harvard law school graduate, then the company manager of What a Life (he was the youngest and most prosperous theater manager at that time). They didn’t get to the altar and Jurow became a premier Hollywood producer later, in the 1950s and 1960s. In 1941, Roberta filed suit for $20,125 damages in Superior court. The suit named Dr. Harry Singer, plastic surgeon. She said she went to him when advised that she needed nasal alterations to meet with success in the films. The operation was performed but her nose ended up crooked on the left side and a bump developed on the bridge. She claimed her movie career was damaged by the mishap. Roberta Jonay, who has the part of Jenny Brinker in “Allegro” at Taft theater this week, has worked out a basic wardrobe which keeps her looking well-groomed all day long when she’s on tour. At first glance, this may sound like a lot of clothes, but remember that Miss Jonay is on the road for months and months. She said the wardrobe listed below along with a cloth or fur coat sees her through the various changes of climate the average tourist encounters. This is what she takes with her: 1 black and 1 white lace evening dress, as these do not wrinkle. Suits of neutral colors with changes of blouses. ‘ 3 black cocktail dresses. 1 silk print dress. 4 hats, small models that can pack easily in suitcases. 8 pairs of stockings. 5 pairs of shoes. 2 nightgowns in addition to usual under-things. Miss Jonay said she never wears black suits on trains as they catch every bit of dust and you emerge at the station looking a mess. She recommends grays In a solid color or blue (not too dark). In 1948, Roberta started dating actor Judson Pratt, a Broadway alumnus like her. They married on June 3, 1950. Judson D. Pratt was born on December 6, 1916, in Brookline, Massachusets. He grew up in Massachusetts, and went to act on stage, ultimately ending up in Hollywood. From 1950 until 1980, he racked up more than 100 credits in movies and TV shows, making him a highly prolific character actor. Their first son Michael was born in 1954/1955. Their second son, Mitchell W, was born on June 29, 1959. Roberta lived a quite life outside the limelight in California and was a devoted wife and mother. Roberta Jonay Pratt died on April 19, 1976, from cancer. Her widower, Judson Pratt died on February 9, 2002. I’m so glad you included this small bio on Roberta Jonay. I thought she was absolutely beautiful in “Emperor Waltz”, 1948. In fact, she played a very nice role as a chambermaid. And, that was not the end of it. She also did a short dance/ballet number with two other characters. 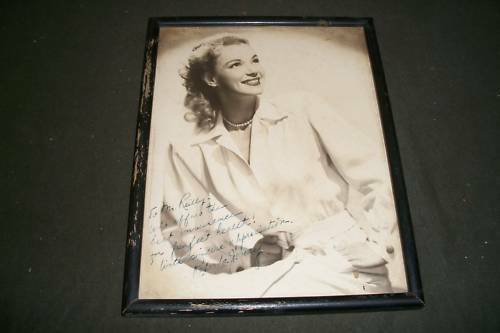 It was an added icing to Bing Crosby’s singing while he was with Joan Fontaine. Later, while the entire town was fiddling ‘The Kiss in Your Eyes’, she appears one last time playing her violin along with other members of the town. She couldn’t look any prettier than that moment. And, she smiles beautifully the entire time. To imagine, that was 69 years ago. It hurt to learn that she only lived to 54 years of age. Thank you for the including Roberta Jonay in your ‘Those Obscure Objects of Desire’. Thank you Rodolfo for the kind comment!